I belong to a group called Utata. The group is an odd collective; we have photographers and writers, we have stay-at-home moms and software designers, we have scientists and security guards—and you can’t always tell which is which. Mostly what we do is talk a lot and participate in photography projects. Our longest-running project is also our most simple. We walk on Thursdays. As of yesterday, we’ve been doing this every Thursday for 281 weeks. That’s nearly five and a half years. Five and a half years. Not everybody in the group walks on Thursdays. We have around 20,000 members, after all. But every Thursday, somebody is walking somewhere and taking photographs. This week we had somebody walking a picket line in Canada, somebody walking down a street in Kaiserslautern, Germany and along a field in Tungelsta, Sweden, somebody walking along a beach in Florida and a harbor in Ireland. 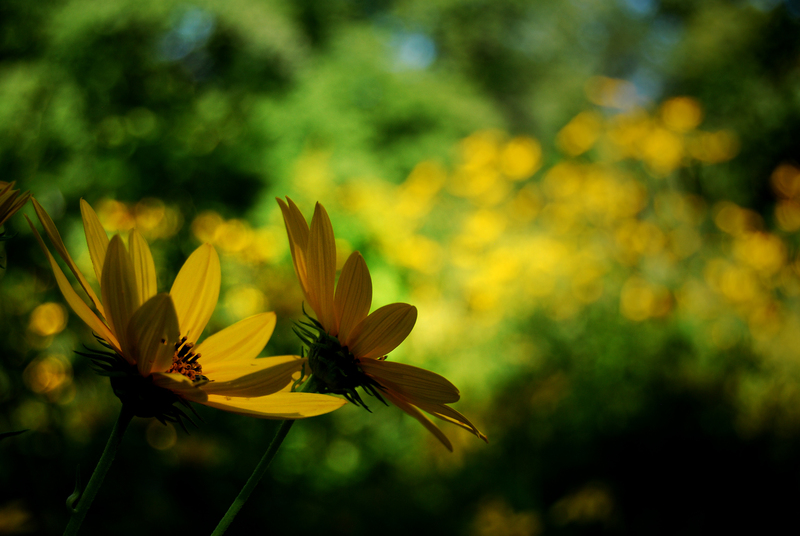 And me, I went walking along a wooded creek and took the world’s most common photograph: flowers. It’s such a simple thing, and yet it’s completely wonderful—and I mean wonderful in the old sense of the term. It leaves me full of wonder. There’s no logical reason for people all over the world to do this—and yet they’ve continued to do it for half a decade. We have continued to do it for half a decade. I really feel fortunate to be a part of such a group.